Location was great, Size was perfect for a few days Great amenities in the apartment. I didn't like the property much at all. There is not really anything positive I could write here. A positive element was the concierge in The Oaks next door. Upon giving us the wrong room with no chance of changing or refunding they offered us a two bedroom the next night with the amenities we payed for the first night and didn’t receive. Close to everything, relatively safe area. Nice view from 26th floor. Located nearby Yarra River, where it was really good to jog :). Comfy beds, and it was a relatively quiet place. Good stay if you come for conference/business. Nice, clean and comfy. Great location just outside of busy zones but still within walking distance. Safe main street access at all times. The location is fabulous. So close to everything. Skybus stop across the road and Train And Trams 5 minutes walk. It’s great. Location was perfect. The apartment was well maintained. Good location, everything you need in the room Had all the facilities you could need for cooking etc. Serviced Apartments Melbourne - Opus This rating is a reflection of how the property compares to the industry standard when it comes to price, facilities and services available. It's based on a self-evaluation by the property. Use this rating to help choose your stay! 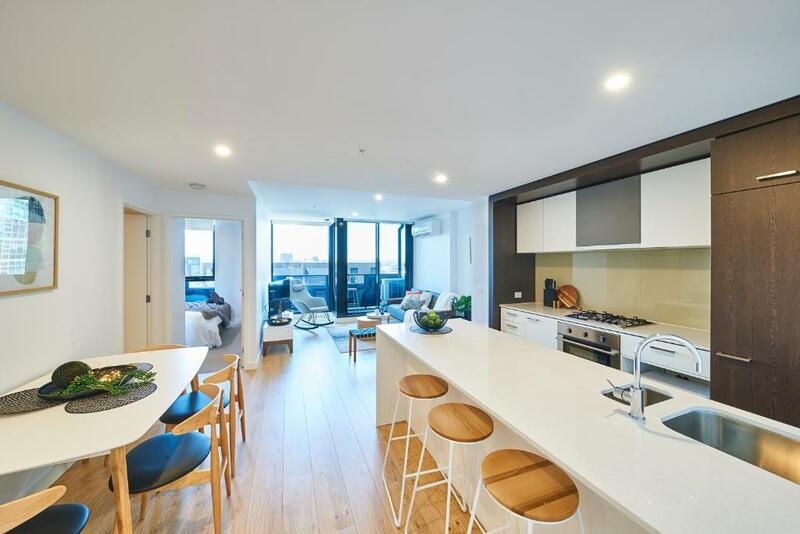 One of our top picks in Melbourne.Located in Melbourne, Serviced Apartments Melbourne - Opus has accommodations with free WiFi and flat-screen TV. The units have a fully equipped kitchen with a dishwasher, coffee machine, and a microwave. 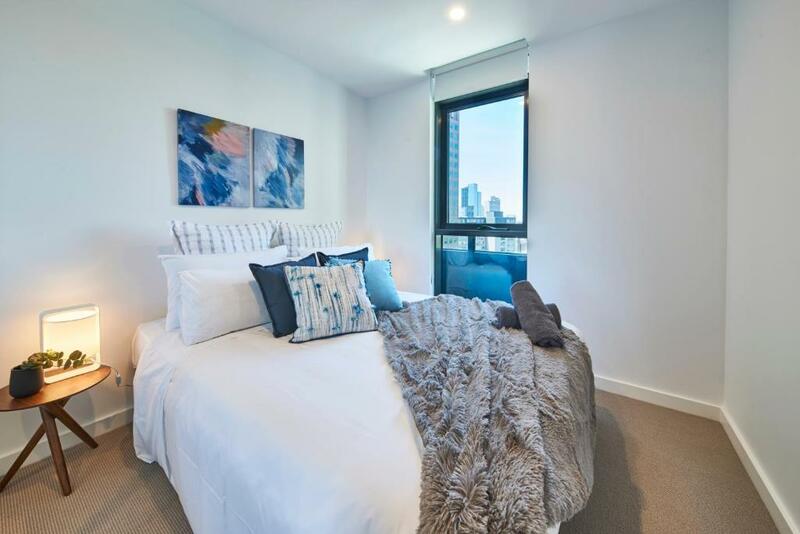 Eureka Tower is a 5-minute walk from the apartment, while Melbourne Arts Center is half a mile from the property. 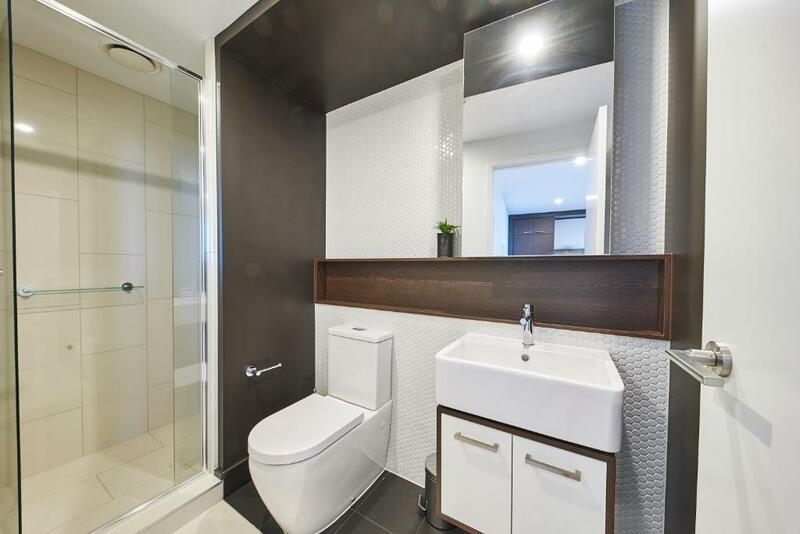 The nearest airport is Tullamarine Airport, 16 miles from the property. When would you like to stay at Serviced Apartments Melbourne - Opus? 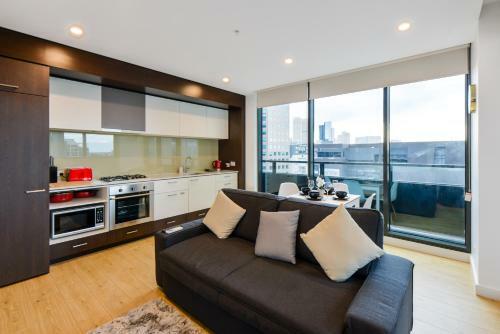 This apartment has a flat-screen TV, tumble dryer and washing machine. Surrounded by landmarks including lush Botanical Gardens, The State Library and National Gallery of Victoria, it’s easy to satisfy your curiosity and nurture creativity. With access to trains and trams, and opening nights just around the corner, all of Southbank's arts precint. 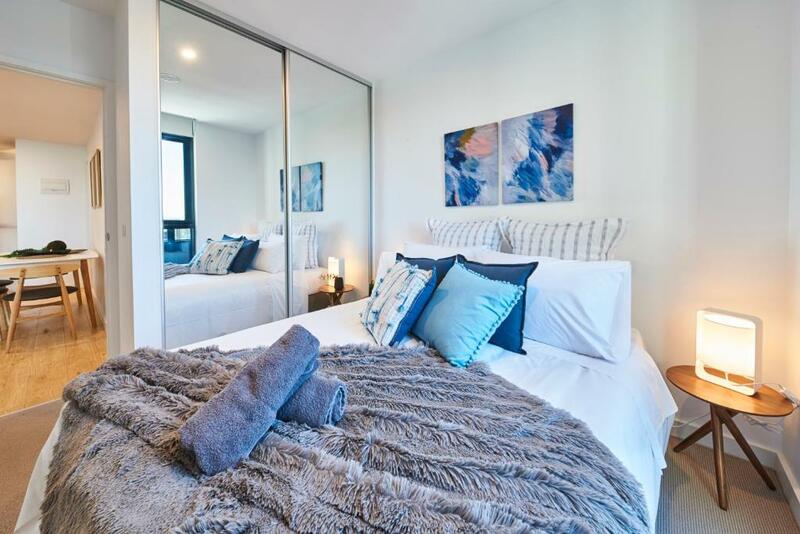 Waterfront promenades, premiere entertainment and shopping, laneways that lure you to hidden nightlife, and top-rated bars, cafes and restaurants, all within a stone's throw away. 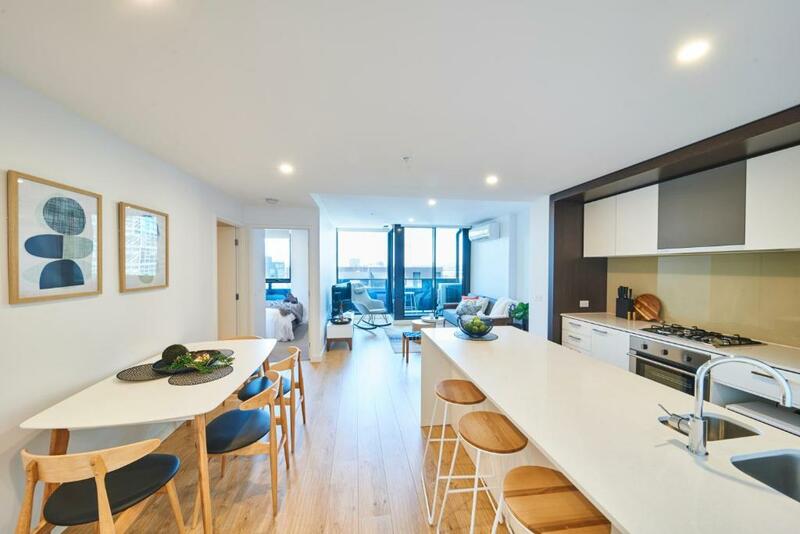 With such easy access around Melbourne, and interiors boasting modular design that is masterfully understated luxury at its finest, Serbicef apartments opus is a true destination for corporate travelers, families and value seekers in search for that perfect accommodation in Melbourne. Area Info – This neighborhood is a great choice for travelers interested in entertainment, atmosphere and city walks – Check location Great location - show map Guests loved walking around the neighborhood! House Rules Serviced Apartments Melbourne - Opus takes special requests – add in the next step! A AUD300 damage deposit is required on arrival (around USD214.54). This deposit will be fully refunded 14 days after check-out, as long as there isn't any damage to the property. 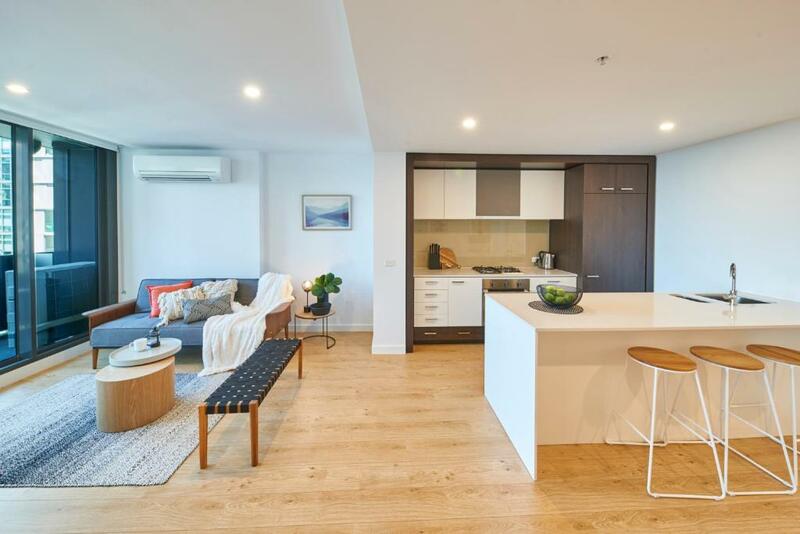 Serviced Apartments Melbourne - Opus accepts these cards and reserves the right to temporarily hold an amount prior to arrival. Please note that payment in full will be processed via credit card automatically from 3 weeks before arrival for standard bookings. For nonrefundable bookings, payment will be processed in full upon confirmation of the booking. Cash will not be not accepted. 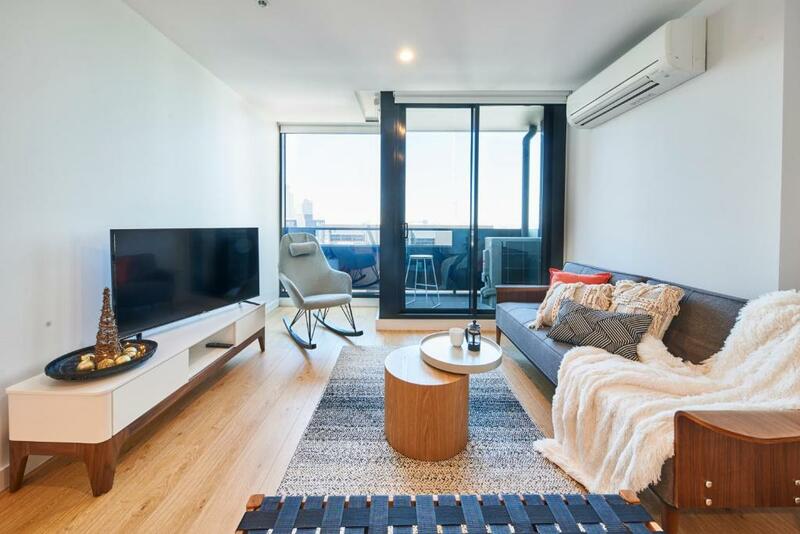 Please note that this property requires a refundable AUD 300 security deposit upon date of arrival to cover any incidental charges. This amount will be refunded after inspection of the accommodations. Cash will not be accepted. A damage deposit of AUD 300 is required on arrival. That's about 214.54USD. This will be collected by credit card. You should be reimbursed within 14 days of check-out. Your deposit will be refunded in full by credit card, subject to an inspection of the property. 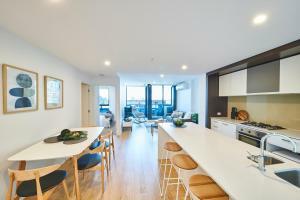 Please inform Serviced Apartments Melbourne - Opus of your expected arrival time in advance. You can use the Special Requests box when booking, or contact the property directly using the contact details in your confirmation. It was very grubby. The whole apartment needs a thorough clean. There is a bit of road noise but could not really be helped. I didn’t appreciate waiting 30mins for the manager/cleaner to arrive at our previously discussed meeting time to hand over our overnight bag. I had left 3 messages and 1 text message & still no reply during the 30min wait. When she did arrive, it was only because I contacted booking.com. There was no apology. In addition to this, the doona had several stains. When trying to start the dishwasher upon check out, it didn’t seem to work but there wasn’t any dishwasher liquid or tea towel to wash the used dishes. The rooms did not have Air conditioner which was not advertised. We had to chase customer service whole to arrange for fans in the room. People sleep in bedrooms and having no AC is not acceptable. What surprised us was they said so far none of the guests had complained. Not sure how people manage during peak summer. Possibly booking. Com should check this as the apartments are not centrally air conditioned. Bathrooms were a little small. A request for a new globe for a bedside lamp on the second day (we were there for 3 nights) - globe did not appear even before we checked out! The freezer still had stuff inside it from the last guests and the bin still had rubbish in it. DO NOT STAY HERE! The host takes a picture on his phone of your photo ID and credit card when taking the bond pre-authorisationon on check-in to send to their management team was the explanation I received. I was not happy and asked for these pictures to be deleted immediately which he refused to do at the time but said they would be deleted once I checked out. I checked out Friday morning and then by Friday night by credit card company had contacted me to say there had been over $600 in attempted suspected fraudulent charges onto my credit card. These of course were fraudulent charges and my credit card has now been cancelled.